Dr. Robert Baer Gibbons, Col. (Ret.) US Army passed away on March 13, 2019, in Denver’s Saint Joseph Hospital, where he was a beloved teacher and mentor for over 30 years. His family was with him as he passed away peacefully. Dr. Gibbons was born in Logan, Utah on August 7, 1937. He graduated from Utah State University in 1959 and received his medical degree from the University of Utah in 1963. He entered the US Army Medical Corps and completed his medical training in Internal Medicine at Walter Reed Army Medical Center in 1967, following an internship at Letterman Army Medical Center in 1964. He completed a Fellowship in Rheumatology at the University of Washington in 1973. After serving as Chief of Medicine at the U.S. Army Hospital in Munich, Germany and as Assistant Chief of Medicine at Madigan Army Medical Center in Tacoma, Washington, Dr. Gibbons culminated his Army career serving as Chief of Medicine and Internal Medicine Program Director at Madigan. During his military service, he cared for numerous dignitaries including, President Eisenhower, Senator Inouye, Supreme Court Justice Douglas, and the wife of Claire Chennault (who led the Flying Tigers). He received numerous military commendations and awards including the Laureate Award. After retiring from the Army, Dr. Gibbons became Internal Medicine Director at Saint Joseph Hospital for more than 30 years, training over 900 residents in Internal Medicine. He loved his residents, co-workers, and patients, as well as the Sisters of Charity of Leavenworth. Dr. Gibbons was Governor of the American College of Physicians (ACP) in Colorado and served as Regent and Treasurer—as well as Master of the ACP– at the national level. He was also a member and later President of the Denver Clinical and Pathological Society. Dr. Gibbons was a member of the Colorado Rheumatology association. Dr. Gibbons was a guest lecturer at numerous domestic and international locations, teaching in Maizura, Japan five times. He loved the Japanese people and culture. 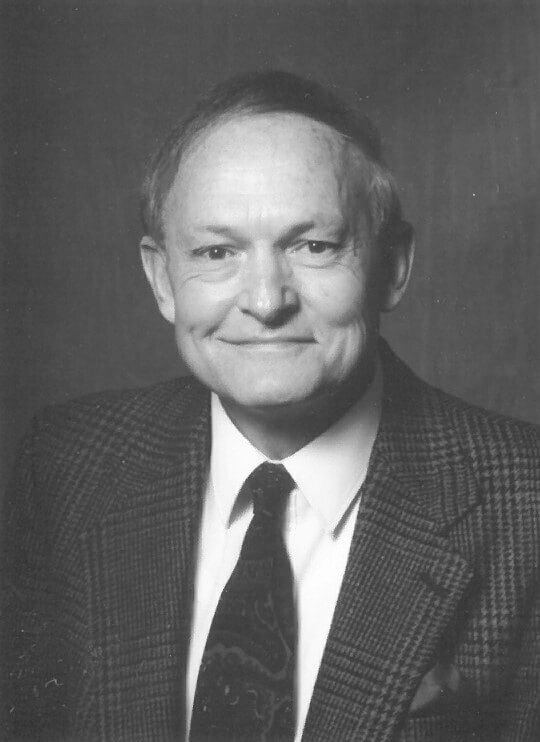 He also served as a Clinical Professor of Medicine at the University of Colorado. He married Jackie Vanderhyde on July 16, 1961, at the Little White Chapel in San Francisco. They were sealed for time and all eternity in the Ogden Temple of The Church of Jesus Christ of Latter-day Saints on August 3, 1979. He was a loyal father and husband. Bob and Jackie traveled often, collecting art, antiques, and Persian rugs together. He was devoted to his children: teaching them, attending sporting events or Boy Scout activities, and coaxing them to the yard for long days of landscaping. He instilled in them a strong work ethic and was closely involved in their academic work. Bob enjoyed a good fire with a cup of hot chocolate, and he made a decadent chocolate cake. Bob was an active member of The Church of Jesus Christ of Latter-day Saints. He served in many positions, including Bishop and High Counselor. He was committed and meticulous in his service. His father and mother, Robert and Ruth Gibbons, and his sister, Marianne, preceded him in death. He is survived by his wife, Jackie Gibbons, his sons and daughters’-in-law (Robert and Michele, Bradley and Heather, and Darek and Jennifer), 11 grandchildren (Taber, Haley, Lauren, Lane, Sophia, Cecilia, Maria, Mitchell, Morgan, Brooklynn, and Walker), and five great-grandchildren (Asher, Cooper, Eden, Rae, and Connor). A viewing will be held from 10:00-10:45am, followed by the Funeral service at 11:00am, on Saturday, March 23rd, at the Horan & McConaty Family Chapel, 11150 E. Dartmouth Ave., Aurora, CO 80114. I am so saddened to learn of Bob’s passing. He was an inspiring leader and patient advocate in the many leadership positions he served on with the American College of Physicians, where I was privileged to get to know him in my role in ACP staff’s Washington, DC advocacy office. I am thankful that Bob and I were able to chat at the ACP Colorado chapter meeting in Colorado Springs last month. I will miss him greatly, as will all who were blessed to know him. Condolences to all. It was an honor to have learned so much from Dr. Gibbons as a resident and to work for him as one of his faculty at Saint Joseph Hospital. We are so saddened by his passing and will always cherish the memories. Thank you Dr. Gibbons. Wonderful gentleman and physician leader, with whom I had the pleasure of serving on the Board of the ACP, and following in his footsteps as Treasurer. Bob was a teacher, at every moment and with every activity. So sorry to hear of the loss of this wonderful gentleman. He left the world a better place than he found it. Having the privilege to work with Dr Gibbons made me a better doctor and a better person. He was a teacher, a mentor, always an example and most importantly a friend. I have so many things I still want to discuss with him and I will miss him terribly at future meetings. There will be an empty chair that just can’t quite be filled by anyone else. I have known Bob for over 40 years. I was greatly surprised by his death. I remember talking with him at length at the ACP meeting in Colorado Springs last February. Bob was a wonderful human being. He was a “great guy”, liked by everyone, smart, always pleasant, always nice to be around. He was a great teacher and leader of the ACP, where his efforts were greatly appreciated. He did much for Internal Medicine. I remember how much he liked mountains and I gave him a picture that I took of a mountain range in Patagonia, that he displayed in his office. Bob will be missed by all of us. I was saddened by the news that Dr. Gibbons had died. It was a privilege to have worked with Dr. Gibbons when he was Governor of the Colorado Region, Regent, and Treasurer of the ACP. He was such a wonderful leader, always so friendly and interesting. I worked with him on Committes in the Membership Division. I admired him so much and know that he willed be missed greatly by his family and friends, but also by the people whose lives he touched as a teacher and physician. He was a a great doctor and leader. Bob was (is) a humble man. Kinda crazy when you read about all of his accomplishments, accolades, etc. I feel privileged to have known him, and to have him know me just a little bit. Doctor Gibbons you were a gentleman and a scholar, one of a kind. I was a resident in OBGYN but you made my rotation in Internal Medicine a fun event. Always standing straight and tidy. Always willing to teach with a kind heart. A father to many, you will be dearly missed. Bob’s memory will be a blessing to all of us who knew him. We enjoyed getting to know Bob and Jackie through our time with the ACP. Our love and condolences to his family and many friends. I was so saddened to learn of G’s passing Serving as his Program Coordinator for many years was the greatest honor of my life. He taught me so many things about medicine/rheumatology, leadership, life, and how to be a kind person. I have so many incredible memories of him and there is truly a little piece of my heart missing now that he’s gone. He was such an inspiration to my daughter, Cassie Foust. When he would see her on the nursing floor, he would always send a greeting to me via her; it always made me smile to think that he would remember me long after I was gone. In my mind, Jackie, Robert, Derek, Brad – we’ve never really aged( so, it impressed me so that Dr. G had great grandchildren. I pray that your memories will give you peace and comfort during this time. Our condoleances to Jackie, sons, daughters in law, (great)grandchildren. We have lost a true master of our profession. Bob was the consummate scholar & teacher, gifted physician, sincere friend and humble gentleman. He taught thousands how to live our professional lives at the highest level and his legacy surely lives on in the hundreds of thousands of lives he benefitted. Temper your sadness of this great loss with the joy he gave us as students, physicians & friends and always cherish that unforgettable Bob Hope half smile. Dr. Gibbons was one of the top 10 most influential figures in my medical career. I will remain always grateful for lessons learned from him in professionalism, analysis and compassion. His passing is a significant loss to the Denver medical community. Rest in peace, Bob. One of a kind…a great man. He will live on in the people he directly influenced and perhaps even the generations beyond them: I spoke to him 2 weeks ago and he was delighted to hear that my son, who was born while I was a resident at SJH, matched at Denver Health and will carry on the tradition. Dr Gibbons, I will always remember the high bar you set for yourself and all those around you. I know that many others besides myself are better doctors and better people because of you. You were an inspiration to me. I will always carry a little bit of your kindness and advice in my heart forever. Dear Jackie and family, We both feel very blessed to have known you and Bob for many, many years. I have been an Internest at St. Joes since 1965 and was truly impressed with his knowledge, teaching ability, professionalism and leadership, during the time he was there. We will truly miss your Christmas parties. He certainly was a Legend at St. Joes and a great mentor and leader. We are amazed at all of his accomplishments both at St. Joes and elsewhere. He will certainly be missed and will live on in our memories. We were blessed to be a part of your lives. Our deepest condolences and sympathy to you and the family. So sorry to hear the news. He will sorely missed. I’m so sorry to hear of Bob’s passing. I will always remember him as a wonderful colleague, thoughtful and positive man, and true gentleman who shared many of the joys and challenges of working in the field of medicine and education. I served as Governor of New Hampshire during his governorship. A man who made a difference. What fun it was to work with Bob in the ACP. He loved to tease me about his removing “perks” when I was President and he was Treasurer. And, how much we enjoyed being with him and Jackie at the ACP meetings. Jackie ,Jean and I send our love and condolences. During our years in Denver it was a pleasure to share many occasions with you and Bob, a respected and devoted physician. His warm smile and generous spirit embraced the community; he was a strong presence in the ACP. His memory is a blessing to all of us. I’ve been back in Australia since 2000 and I was very shocked and saddened to hear of Dr. Gibbons passing. He will always have a special place in my heart for his kindness and his passion for teaching his interns. Jackie and Robert both came to my wedding in Boulder when I married one his interns ( now divorced), they were good memories. I spoke with Dr. Gibbons on the phone from Australia a few years back about a friends arthritic condition, he was very gracious and helpful and I asked when would he and Jackie come to Australia for a holiday but sadly, that did not happen. I was secretary in medical records at St. Joe’s and I will always remember the white lab coats on ground rounds. I’m now an anaesthetic nurse and have a greater appreciation and respect for medicine and all who devote their life to it. Dr. G. was the ultimate educator, teaching not just about Medicine, but about professionalism, leadership, and life. The world seems different without him here, but it is clearly a better place due to the legacy he leaves. We miss him greatly. My heartfelt condolences to Jackie, Robert, Brad, Darek, and the rest of the Gibbons family. Bob was a good friend of mine for many years through the Denver Clinical Pathological Society. He was an excellent doctor, physician and the ultimate professional. More recently he was the person I referred many prospective med student applicants to for advice (including my daughter). Many of these applicants had experienced rejection, disappointment and were very discouraged about a medical career. Bob was always willing to help, gave them individual attention and sound advice and encouraged them. I know that several of them, after talking to Bob, tried one more time to apply to medical school and with Bob’s encouragement and advice they were successful. He did not have to do this, he simply was a good person. He influenced many young people in a very positive way both when he was the Director of the training program and even after he retired. To me he is the ideal physician. We will miss him. My condolences to his family and colleagues. Dr. Gibbons was a great among giants. His gentle, humble manner belied the profound depth and breadth of his knowledge. He had a generous manner and always shared what he knew in a quiet way that invited discussion and learning, never fear or failure. The kindness we all saw was present in every aspect of his life: family, career, faith, daily existence. The community has lost a devoted friend and mentor. My condolences to his family, who has lost someone very dear indeed. I did my family medicine residency at St Joes and was lucky to work with Dr. Gibbons. He set a great example for us all to be caring, thoughtful, and thorough physicians. Thank you to Dr. Gibbons and his family. Dr. G holds a special place in our hearts. He was always engaged, caring, and putting the needs of others before himself. He addressed you like you were the only person in the room. He had two distinct passions: training and creating great doctors of the future and Tab soda pop. He will be GREATLY missed, and his legacy will pass on for many generations. I have fond and grateful memories of Bob when he was Treasurer and I had just joined the BOR. He was a great teacher and kind and helpful person. I am so glad to have shared even a little of his journey and join with everyone who celebrates his great contributions to medicine and the College. My condolences to Jackie and all the family. My condolences to Jackie and family. I was very fortunate to meet Bob early in my medical career. He was a great mentor, friend and teacher. He led by example showing us young physicians the importance of integrity, kindness, compassion in caring for our patients and how to work with others. He made a mark on all of us who knew him. I met Dr. Gibbons later in his career when he directed the Internal Medicine training program at St Joseph’s Hospital. He was a kind, gentle, honest and straightforward colleague who was a teacher through and through. He not only taught medicine to residents and colleagues alike, he taught us what it was like to live and work with honor, ethically and a sense of humility. I will miss that and I will miss him. Sincere condolences to the Gibbons family. I was very saddened to hear of Dr. Gibbons passing. He was an inspiration to me during my residency, and continued to be a friend during my time as a St. Joseph’s attending physician. He always brightened my spirit when he came in person to take report from me in the morning after a long night. I will remember him for his intelligence, patience and sense of humor. My sincere sympathy to the Gibbons family. Our sincere condolences with the loss of your loved one Bob. We think of you. And we wish you all the strength in the coming period. Bob was an amazing human being. He was smart, animated, and a fierce defender of patients’ rights. His teaching skills were legendary, not only in Colorado, but though out the world, as evidenced by his many stint in Japan teaching young physicians. As a leader of the American College of Physicians he contributed greatly to the many projects he championed. I am missing him. Dr. Gibbons was an inspiring doctor and career mentor. I am forever thankful for all the advice, guidance and encouragement he gave me in my medical career! I would like to extend my deepest condolences to Dr Gibbons’s family at this deep time of sorrow. You do not grieve alone because all of us who had the honor of working and learning from Dr Gibbons are greiving too.. They don’t make people like Bob very often, he was a mentor and a friend, the light in the crowded room. He has been a constant presence for me at St Joseph since starting there as an intern in 1994. We wrote a paper together, and he encouraged me to switch residencies to stay. Encouraging is what he always was, for both myself and so many other residents. I found him to always be humble and his pure love for medicine and intellectual curiosity were what set him apart from others. I will miss him greatly, he is one of the few people who I would strive to emulate. Thank you Bob, it was an honor to know you. You are truly loved. Words truly cannot convey how sad I am at the loss of Dr. G. He was a teacher, mentor, and friend. He brought out the best in his students and his colleagues. Dr. Gibbons was the mentor and inspiration for my medical career. He inspired me to believe in myself when I was just beginning my medical practice and lacked confidence in myself as a leader and practitioner. He inspired me to be the best doctor and advocate for my patients. He demonstrated every day what true compassion, integrity, love of medicine, curiosity, hard work, dedication and problem solving. He changed my life profoundly and will be missed. My condolences to Jackie and family. Dr. Gibbons was a profound influence in the professional and personal lives of so many people, including my own. He will be greatly missed. I am so saddened to learn of the passing of Dr. Gibbons. I worked at St. Joseph Hospital in the Medical Staff Office from 1986 to 1988 and can remember his presence at St. Joseph Hospital. He was so dedicated and always had his troup of residents around him. Wonderful physician, teacher & individual. The world needs more people like Dr. Gibbons. My sincere condolences to his family. Rest in peace Dr. Gibbons! You will be missed more than words can say. I am at a loss of words. I was so happy to know a person of Dr. Gibbons character. I was a resident under him when he first came to St. Joes. He was wonderful and taught me so much . I will never forget him and have nothing but admiration. He was very supportive always. He will be missed. My condolences to his family. In this time of loss and sadness, it is the realization that memories and legacy endure that helps us to go on. Dr. G was a truly inspirational person … it was a true honor and privilege to say that I worked for Bob Gibbons. His positive influence was evident in everything he did. The world is truly a better place because of beloved Dr. G. It is said that medicine and science progress “because we stand on the shoulders of giants” … Bob’s influence will endure for generations to come! May all of the cherished memories also endure … we will all miss him. Walking the halls of St Joe’s Hospital, the images and echoes of his kind words and dedicated commitment to the residents and students are ever present. My wife Fran found that each time she spent time with Bob, she felt his warm and caring personality. He brightened each occasion when he visited our home. Fran joins me in extending our sincere condolences to Jackie and the Gibbons family. Dr. Gibbons had such a deep impact in my journey as a resident and he truly was the greatest mentor I have ever had. I still to this day frequently tell fond memories of “my program director” and how amazing he was as a teacher, a person and as a remarkable doctor. To me he embodied what a great physician should be and I will continue to strive every day to try to be like him as I care for patients. Please know my thoughts and prayers are with you. He will be greatly missed and always remembered.